Don’t know much about car insurance? The good news is you’re not alone. Few drivers understand the most basic information about car insurance. In fact, in The Zebra’s recent survey1of 1,165 car insurance customers, only 21% of survey respondents would get a passing grade (D+ or higher) when it comes to identifying factors insurers use to determine rates. The bad news is this lack of awareness could be costing you money. Survey results indicate that drivers tend to paylesswhen they knowmoreabout car insurance. Of course, car insuranceiscomplicated. Rates vary based not only on what coverage you have, your driving record, and what vehicle you drive, but also your age, where you live, and even your credit score. Not only can some basic car insurance know-how save you money, it can help you understand your coverage and give you peace of mind that you’re financially protected against the unpredictable — like accidents, crime, and strong storms. A little knowledge can go a long way. Thirty-eight percent of survey respondents said they pay a premium of $100 or less per month for car insurance ($1,200 per year, which is less than thenational average of $1,427), while 8% said they pay more than $200 per month. While few of the car insurance customers who responded to the survey scored well, those who pay the lowest rates showed a better understanding of insurance coverage and terms. Q: What covers damage to your vehicle in the event of an accident caused by a person who does not have insurance? Q: What covers damage to your vehicle in the event of an accident caused by another insured driver? Q: What is the maximum amount you pay out of pocket for vehicle repairs before your insurance company pays any amount? Those paying higher car insurance premiums also had a harder time identifying common insurance myths. Myth: I can only switch car insurance companies at the end of my policy term. Fact: You can switch car insurance providers at any time — even in the middle of your policy term — and your insurance company will reimburse you the prorated premium you didn’t use. Just remember to have a new policy in place before you drop a previous one as it can damage your insurability to be without coverage — even for one day. Myth: There is nothing I can do to lower my car insurance rates. Fact: Insurers use a broad variety of risk factors to determine how much you pay for car insurance. You don’t have control over some factors — like your age — but you do have influence over others, like maintaining a good driving record, paying your premiums in full and on time, and improving your credit score. Myth: The color of your car affects your car insurance rates. Fact: While many factors about your car affect your insurance rates (including its age and security options), color is not taken into consideration by insurers. If there’s one group of drivers who can understand the value of car insurance, it’s those who’ve recently banged up their vehicles in an accident, right? It turns out that’s not the case. 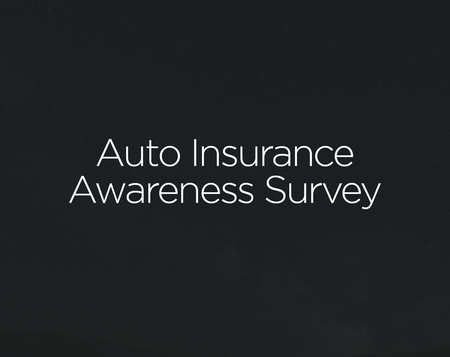 Even among the 28% of survey respondents who’ve had to file a claim in the past year, 40% said they still don’t understand why they need car insurance, compared to 17% of all survey respondents. Drivers who’ve filed claims had a hard time understanding how their own activity relates to their car insurance rates. 74% think insurance companies raise rates for no reason. 56% think there’s nothing they can do to lower their car insurance rates. 91% still consider themselves good drivers. Insurers raise rates for drivers who cause accidents because they end up paying out substantial amounts in claims, and at-fault drivers are statistically likelier to get in additional accidents in the future. According toThe Zebra’s 2018 State of Auto Insurance report, drivers can expect auto insurance rates to increase 30-50% after an at-fault accident — an increase that affects their premiums for three years. Even drivers who arenotat fault in an accident will see rate increases in all but five states. Drivers who’ve filed claims were also less successful at identifying factors that affect car insurance pricing compared to those who did not file claims in the past year. *Several false options were intentionally included to evaluate misperceptions about auto insurance rating factors. Factors marked (X) not real rating factors, so those who selected them are incorrect. Forty-six percent of respondents who said they believed car insurance is a “scam” thought they were “very well informed” when it comes to factors that impact car insurance rates, compared to 40% of all respondents. However, this group actually performed particularly poorly when quizzed about common car insurance terms and coverage factors. 33% of drivers who thought insurance is a scam didn’t know that they’re required by law to have car insurance, compared to 22% of all respondents. Only 36% of drivers who thought insurance was a scam could identify coverage limits for liability insurance coverage, compared to 41% of all respondents. 69% of drivers who thought insurance is a scam thought their driving record is permanent, compared to 56% of all respondents. Insurers can’t legally factor driving violations into your rate after a set period of time (typically 3 years). Yet, while these drivers don’t understand auto insurance, they do use it. Fifty-two percent filed a claim within the past year. While The Zebra’s survey shows a critical need for drivers to level up their car insurance smarts, it also highlights how attitude can affect drivers as they navigate their car insurance options. Those who dismiss insurance as a scam and those who don’t see its value also struggled more with questions about how it works, what it means, and what role they play in it. Drivers who value insurance as an important financial safeguard not only show a better understanding of their car insurance coverage — they were more likely to paylessfor it. This suggests that drivers who are willing to learn a little more about car insurance could help themselves realize real financial benefits. The Zebra’s Auto Insurance Awareness Survey presents the findings of an online survey of 1,165 U.S. auto insurance consumers ages 18 and older. The survey was conducted by independent research firm Survata from October 4-5, 2017. The margin of error for a sample of this size is +/-3% at a 95% level of confidence. The power consumers have to switch or modify their car insurance policies and the steps they can take to ensure they have adequate coverage.